Help me get to SXSWedu! I am hoping to present at the SXSWedu educational conference next spring... but I need your help! 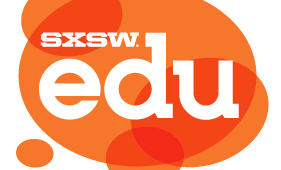 Similar to other SXSW festivals (music, film, interactive), SXSWedu is a gathering of diverse players who share an interest in bringing teaching and learning into the 21st Century. Unlike other conferences, the SXSWedu PanelPicker allows the community (YOU!) to have a voice in the selection of conference programming activities. You can review, comment on and vote for the ideas you most want to see become a part of the event. All of my submissions stem from my experiences and research as an Associate Course Director at Full Sail University, as well as my professional partnerships with colleagues at other educational institutions. SXSWedu 2012 takes place March 6-8, 2012 in Austin, Texas.